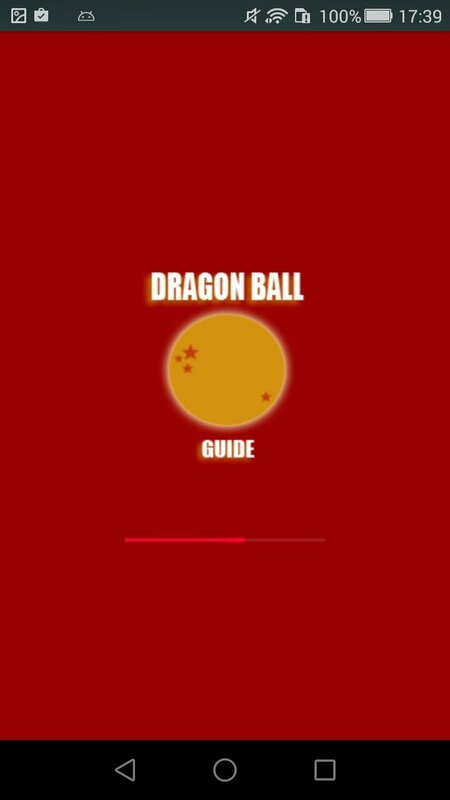 As a great fan of the adventures of Son Goku and company, you've probably already tried out all the video games about the Dragon Ball universe. 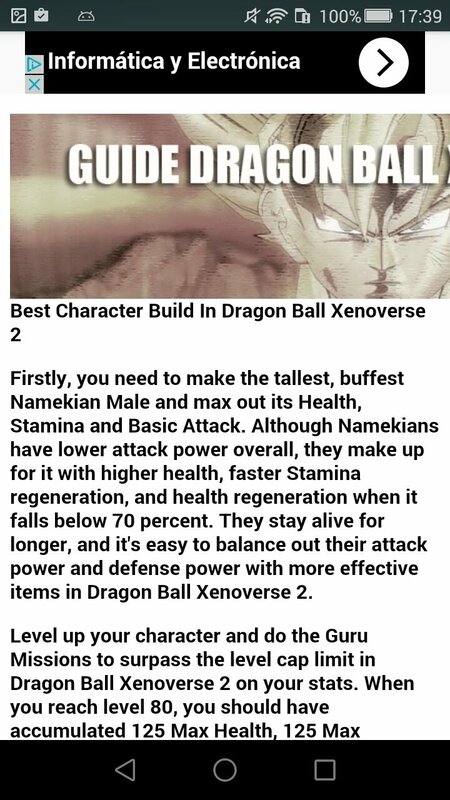 If so, you must be already hooked onto Dragon Ball Xenoverse 2, the fighting and role-playing game released by Bandai last October as the sequel to its successful first part, available for PC, PS4 and Xbox One, and which is expected to also be launched for Nintendo Switch during 2017. 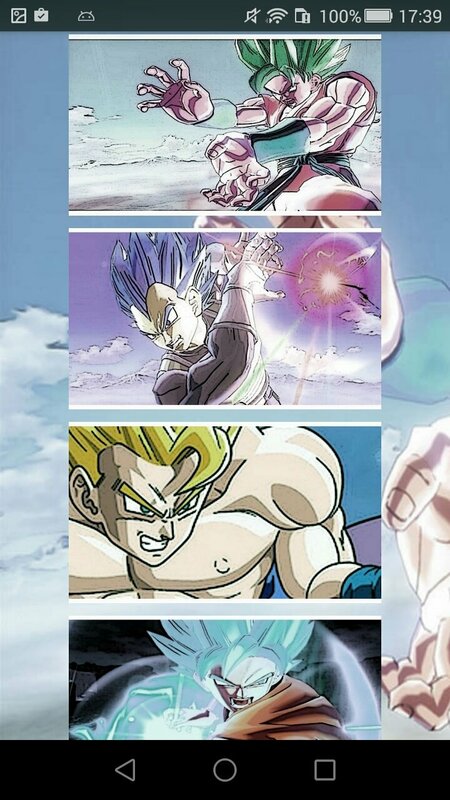 The most complete guide to play Xenoverse 2. Before you start getting too excited, we're going to have to tell you to calm down. 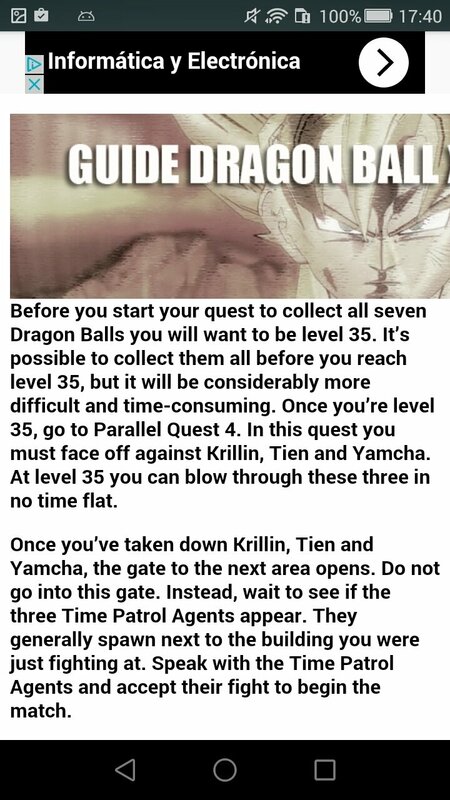 Unfortunately, this isn't the APK of the official game in which you can become a time patroller to avoid the Dragon Ball universe from changing its history. It's simply an application for Android smartphones and tablets, that turns out to be a tutorial or guide, and in which you'll find some tips, cheats, and hacks that will help you to complete the real game. A sort of unofficial companion app for this successful video game. 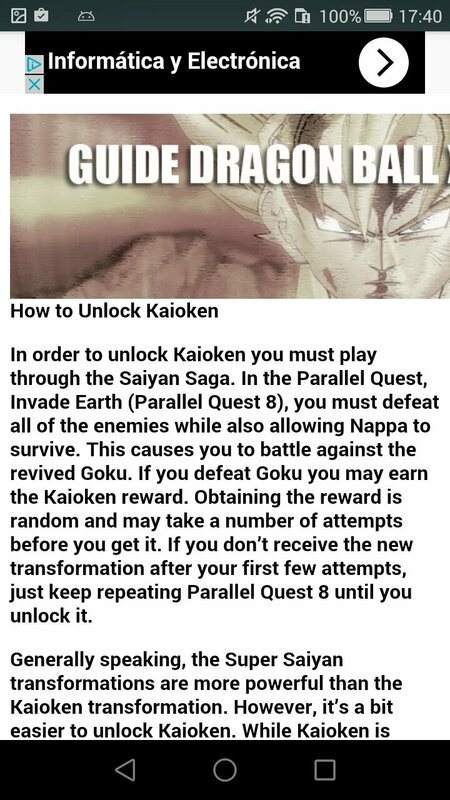 How can this Guide Dragon Ball Xenoverse 2 help me out? 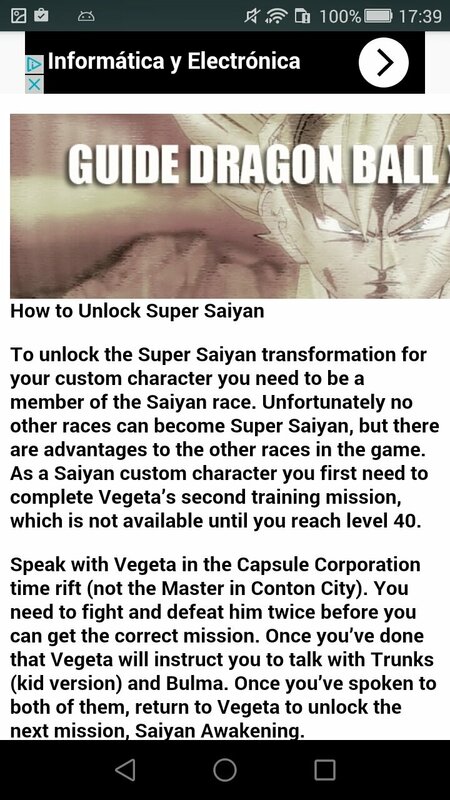 How to unlock a Super Saiyan? Which is the best character of the game? When is the next DLC out? The only problem is that the cheats are provided in plain text and they might be somewhat complicated to follow without any graphical example, but if you really need help to complete the game, this is your application.